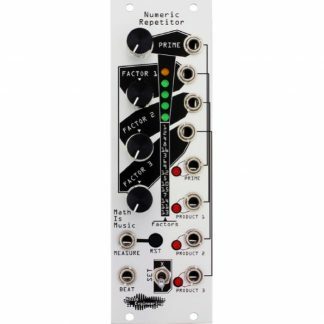 The Noise Engineering Mimetic Sequent is a sixty-four step pitch-aware CV recorder and randomizer with the ability to save and modify three unique patterns. Switch between patterns stored on its internal flash memory, or use the Mimetic Multium expander to output all three patterns simultaneously – in addition to four separate randomized rhythm sources. In all modes the randomization knob controls both the probability the current step will be randomized as well as how extreme the randomization will be. Turning clockwise both increases both the chance the step will be randomized and the amount of randomization. Randomization occurs only to the current step in the current pattern on the beat. 3 randomization modes offer different “flavours” of random. Mimetic Sequent can operate as a unipolar sample-and-hold by keeping it in record mode. 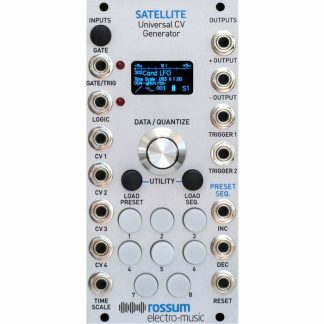 Patch the signal you want to sample into the Record input. Send the sampling clock to the beat input. Flip the Record switch to the top position. The MS will sample the input when it receives a beat input. Pattern 5 – switch that controls which of three patterns is selected for output. Duplicate – copies the currently selected pattern to the other two patterns. Advance – manual advance of the step in the pattern. Equivalent to a rising edge on beat. Random – randomization knob. When fully CCW, the knob locks the current pattern. The angle affects both the likelihood and the method used for the randomization. Record – a three-position switch that controls record mode. When fully down, record mode is disabled. In the middle position, short-record mode is enabled which will record until either 64 steps have been recorded or a rising edge of measure is received. In the fully up position, MS enters free-record mode that will continue until turned off. Mode – controls the method by which the stored voltages are randomized. Methods are detailed below in the section entitled Less Random. 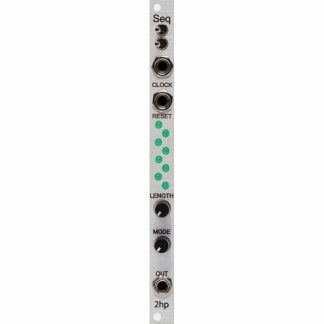 12-tet – in the up position, the output voltages will be quantized to the common 12-note equal-tempered scale. CV in – CV input for recording voltages. Random (jack) – CV control over the randomization knob. When the jack is in use the Random knob scales the voltage applied to the jack. Measure a clock input to indicate the start of a measure. RST – reset button. While depressed, MS ignores any clock input. On release, MS resets the current step the beginning of the pattern. Pattern (jack) – CV control over pattern switch. 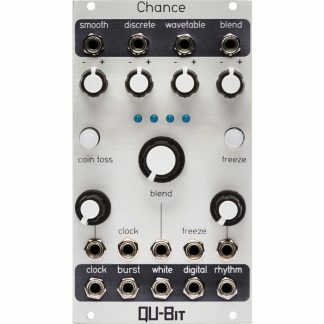 Beat – a clock input to advance the current step.